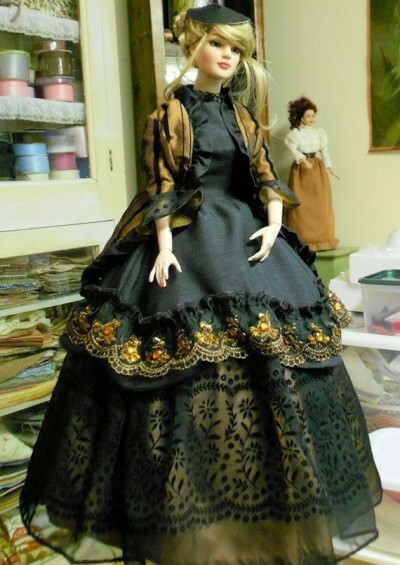 My “Big Girl” Doll and her new hand made gown. It is a mid 1800’s day gown worn over a hoop slip and period under garments. Great fun to make!